This is opposite the Woodhouse Community Hall in Old Woodhouse. 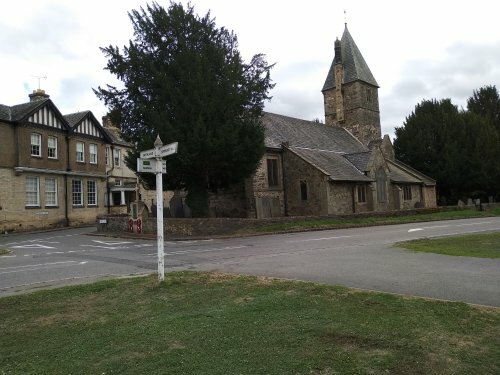 The other Church of England building in the Woodhouse parish is St Pauls Church in Woodhouse Eaves. See ↪www.woodhouseschurches.org/↪ for information on both. In Woodhouse Eaves there are also Baptist Church and Methodist Church buildings.